Enjoy the simple elegance of traditional styling in this one-light wall lantern. Townships clear beveled glass and Oil Rubbed Bronze finish contains notes of New England-inspired style for this new outdoor lantern collection. Township creates a beautiful entryway to your home. The one-light small wall lantern in the Edition collection features distinctive hexagonal shape for classic styling. Clear water glass elements are accented by a Antique Bronze finish. Die-cast aluminum construction with a powder coat finish makes this a durable style for updating a home's curb appeal. Two-light medium wall lantern in the Maison Collection offers traditional French country styling for a variety of home settings. Classic and formal clear water seeded glass complements the powder coat finish. Available in Oil Rubbed Bronze and Black finishes. The Meadowlark Collection features a fancifully curved roof design that is reminiscent of an eyebrow window on 19th century cottage. A rich patinaed finish is complemented by water seeded glass for a truly distinctive appearance. A scrolled finial adds the finishing touch. Durable aluminum construction. Stately without being stodgy, the Prestwick Collection is finely crafted from durable aluminum for years of reliable service. The yoke design cradles an urn-shaped water glass shade for sparkling illumination. A rich hand painted finish provides an artistic touch that will add a touch of distinctiveness to your home. Township Collection 1-light Oil Rubbed Bronze Wall Lantern Enjoy the simple elegance of traditional styling in this one-light wall lantern. 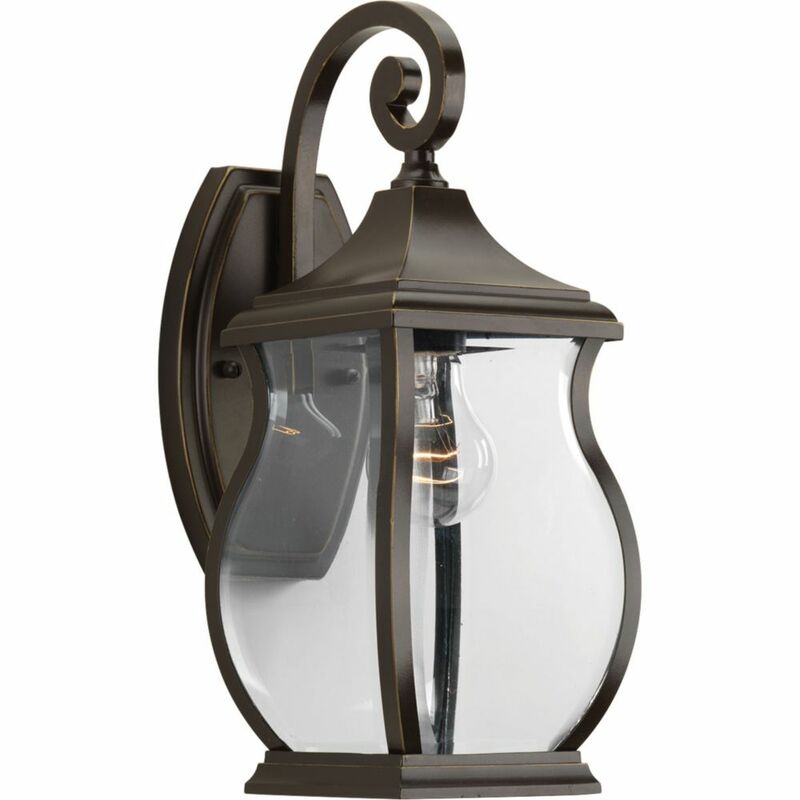 Townships clear beveled glass and Oil Rubbed Bronze finish contains notes of New England-inspired style for this new outdoor lantern collection. Township creates a beautiful entryway to your home. Township Collection 1-light Oil Rubbed Bronze Wall Lantern is rated 5.0 out of 5 by 1. Rated 5 out of 5 by arejay92 from Beautiful lights. Only issue was one of the glass pieces was cracked from top to bottom upon arr... Beautiful lights. Only issue was one of the glass pieces was cracked from top to bottom upon arrival. I called the company and they shipped out a new piece of glass.